Amazon India announced the two android based tablet Kindle Fire HD & Kindle Fire HD 8.9” will be available in India starting June 27 on Amazon.in. Kindle Fire HD priced at ₹ 15,999 and Kindle Fire HD 8.9 priced at ₹ 21,999. 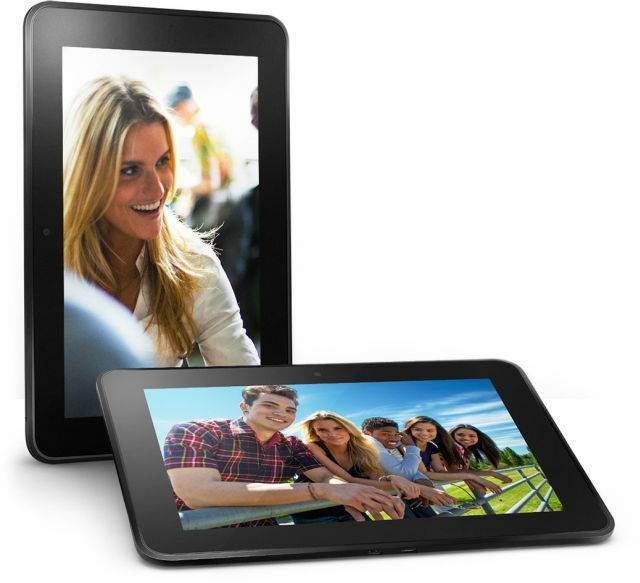 Kindle Fire HD is designed for entertainment, Web browsing, apps, games and books. The 7-inch Kindle Fire HD has HD display with 1280 x 800 resolution, dual-band Wi-Fi, dual antennas, Multiple In/Multiple Out, Front facing camera, 1.2 GHz dual-core processor with Imagination PowerVR 3D graphics core, dual stereo speakers and Exclusive Dolby Audio. The 8.9-inch Kindle Fire HD has HD display with 1920 x 1200 resolution and 254 ppi, dual-band Wi-Fi, dual antennas, Multiple In/Multiple Out, Front facing camera, OMAP4 4470 processor and Imagination SGX544 graphics engine, dual stereo speakers and Exclusive Dolby Audio. Kindle Fire HD is available with 16 GB or 32 GB of on-device storage and Kindle fire using custom Android version designed especially for Kindle. Kindle Fire HD gives you 10 hours of battery life. Kindle Fire HD comes with pre-installed apps including Facebook, Temple Run, Angry Birds, Big Flicks, Chhota Bheem, Dhingana, ErosNow, ESPN Cricinfo, MapMyIndia, MakeMyTrip and NDTV. Users can read over 1.7 million books, including over 325,000 titles that are exclusive to the Kindle Store. Over 600,000 books are priced ₹200 or less and over 1.2 million ₹600 or less. Kindle Fire HD 8.9” will be available June 27 for the price of ₹21,999 at Amazon site and other retail stores in India.